HANFORD, Calif. -- Authorities said just after 10 p.m. on Monday, a 2-year-old girl and a 10-month-old baby were found alone after the 2-year-old was nearly struck by a driver. Police said the driver believed the 2-year-old was a dog in the middle of the street. After the driver stopped, they notified Hanford police. Officers discovered a 10-month-old baby boy on a porch of a residence on Cabrillo Court while trying to locate the parents of the children. Authorities eventually made contact with the mother, 18-year-old Monique Brasel, at another residence on Cabrillo Court. They said she could not provide any explanation as to how the babies got out of the house. 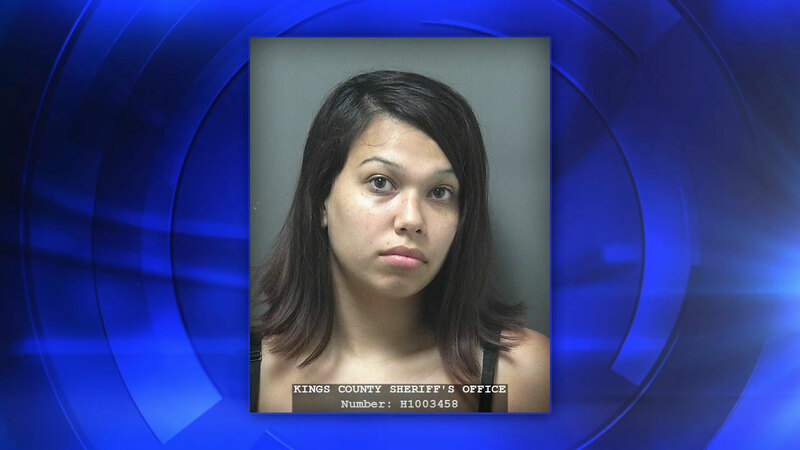 She told police she was watching a movie in her room and the last she heard, her babies were playing in the garage unsupervised. Brasel was booked into the Kings County Jail for two counts of felony child endangerment and CPS was called to investigate as well. She is being held in lieu of $100,000 bail.